The artist Francesco Falciani takes the thread of his last shown in Munich, the Exhibition "Evoluzione Capitale dei Sogni" (The basic evolution of dreams, 2015 in the Gallery artoxin), in which he deals with one of the most widely read books in the world (!) Daniel Defoe's Robinson Crusoe, published nearly 300 years ago, 1719. It tells the story of a sailor, who as shipwrecked about 28 years isolated on spends an island and builds its own cultural landscape almost out of nowhere. In Robinson Crusoe, the first hero of the bourgeoisie of the early Age of Enlightenment, symbolizes the living myth of the bourgeois self-made man who, with the help of the virtues, Discipline, reason, diligence, perseverance and piety master his fate. Defoe constructed the situation of British colonists in North America. "Submit the earth" with you Robinson Crusoe acts in this "God-given" motto, appropriating ownership and land, submits as a slave to a savage and calls him "Friday". Francesco Falciani is interested in exploring here, as in his 2015 exhibition some of the main thinking structures of the modern age that have an effect on our present day. Robinson Crusoe tells the story of colonialism and reaffirms the power of the Puritan, bourgeois ideal and reflects on the "masters position". without empathy at the expense of others. 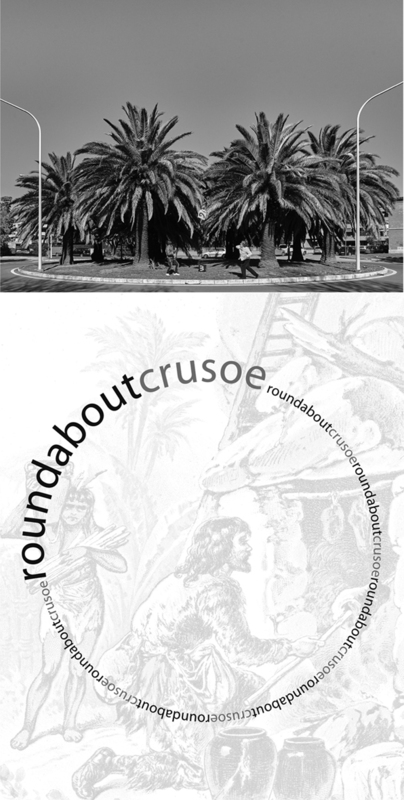 Robinson Crusoe and tries his findings in the visual, visual implement.